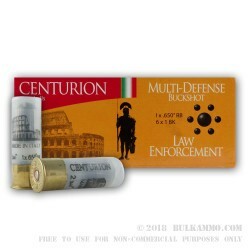 This is .12 Gauge shotshell ammunition specially designed for law enforcement and military use. It is extremely useful in the roles of home defense, training and other defensive needs for American shooters. 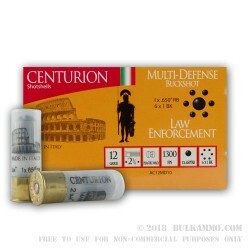 These shot shells are specially loaded with a combination of one .650" (65 cal.) 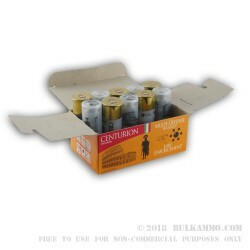 round ball with 6 #1 buckshot pellets, providing deadly, dependable stopping power at close range. 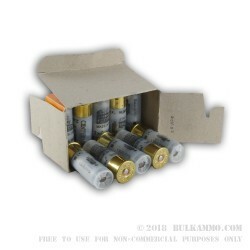 This 12 gauge ammunition provides maximum penetration and tissue damage. The ball patterns reliably on center mass, with pellets spreading out over a 6-8” area at 50 yards. When you order this, you'll get 250 rounds of 12 gauge ammo with 10 boxes inside that each containing 25 rounds that are ready for your shotgun.